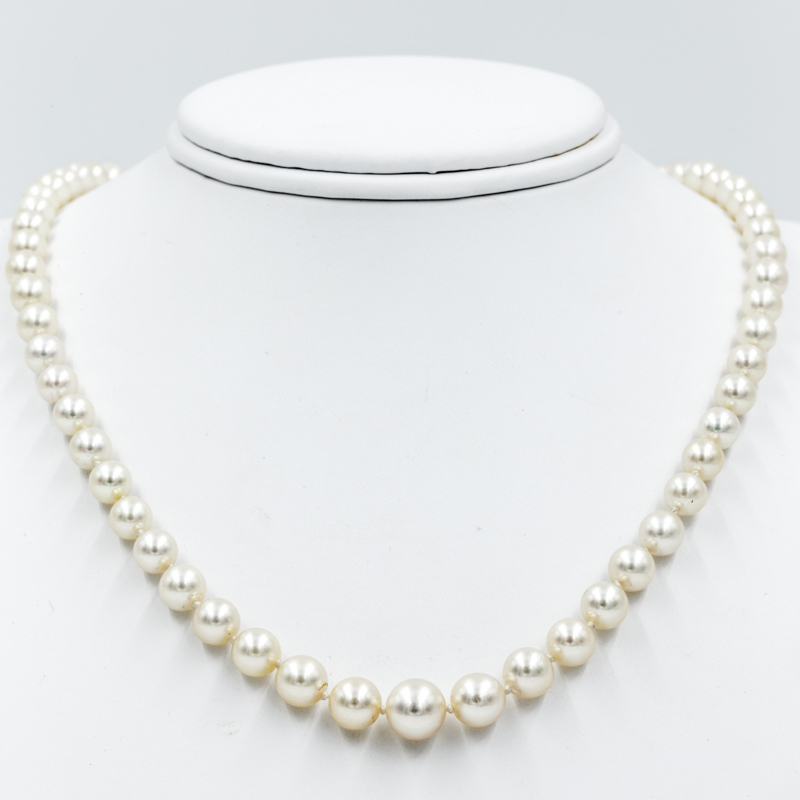 A vintage estate jewelry piece: Pre-1970 “princess” strand of graduated cultured pearls. Pearls range from 4mm to 8mm at center; necklace is 20 inches with gold clasp. Pearls have fine, thick nacre, light cream color with slight rose overtone.